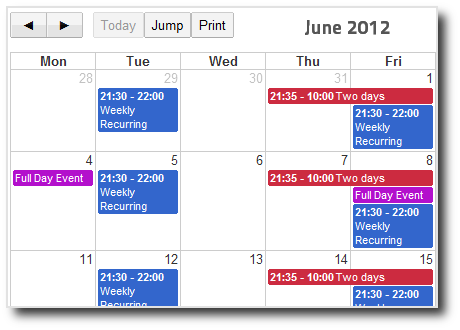 DPCalendar is a full responsive native Joomla calendar and event manager with Google calendar integration. It makes the most of all the Joomla features that any online Joomla calendar and event manager should, such as ajax powered event browsing/manipulation, drag'n drop, front end editing, nested calendars, CalDAV and ACL support. DPCalendar integrates seamless other calendar systems like Google Calendar, Facebook Events, MS Exchange (Outlook) or iCloud without manual syncing or cron jobs.